Built and sold global 21st century educational institution for $412.5 million. Also throws a proper dance party. 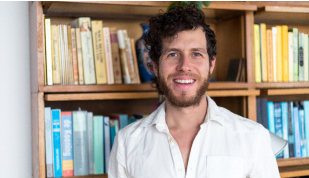 Matthew Brimer is an entrepreneur, community builder, and angel investor. He co-founded General Assembly, a 21st century educational institution that has transformed the lives & careers of hundreds of thousands of people around the globe. He also co-founded Daybreaker, an international lifestyle brand that produces completely sober morning dance parties in major world cities. He currently runs The Fund, a first-of-its kind early stage venture fund powered by a community of some of NYC’s most successful entrepreneurs. 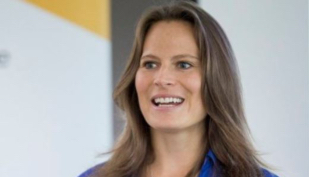 Krista Seidens is the Analytics Evangelist for the Google Analytics team. A leader in the digital analytics industry with nearly a decade of experience specifically in digital marketing, analytics, and product management. 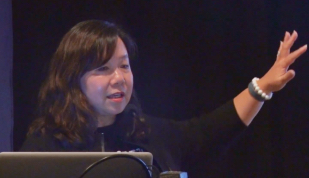 She has led analytics & optimization at companies such as Adobe, The Apollo Group, and Google. 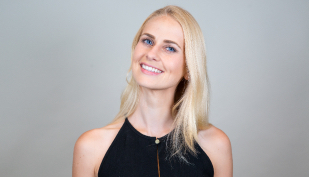 Pocket Sun is Co-Founder and Managing Partner of SoGal Ventures, the world’s first female-led millennial venture capital firm investing in startups in North America and Asia Pacific, and founder of SoGal, a global community influencing 50,000 diverse entrepreneurs and investors in over 20 countries. Growth is Hard. But There's Hope. And it's Simple. Growth is hard. It's increasingly expensive, almost prohibitively so, to acquire new customers. The amount of competition for people's time and attention is ludicrous. And the over-emphasis on customer success and customer support is unsustainable. The upside? There's an easy and obvious solution for all of us. It's time to stop being so lazy. International bestselling author, serial entrepreneur, former NASDAQ company CEO. Jay Samit is a serial entrepreneur and intrepreneur who has raised hundreds of millions of dollars for startups, taken companies public, transformed entire industries and is widely recognized as one of the world’s leading experts on disruption and innovation. 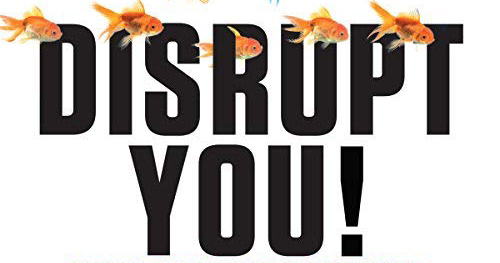 His international bestseller Disrupt You! Master Personal Transformation, Seize Opportunity and Thrive in the Era of Endless Innovation has been translated into eight languages. Samit has held positions as a NASDAQ company CEO as well as global executive roles with Universal Studios, EMI and Sony. 20 year NASA veteran working to infuse crowdsourcing innovation with the US Government. 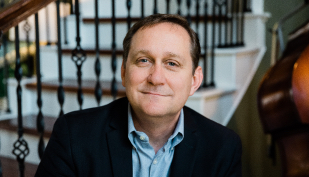 Steve Rader currently serves as the Deputy Manager of NASA’s Center of Excellence for Collaborative Innovation (CoECI), which is working to infuse challenge and crowdsourcing innovation approaches at NASA and across the federal government. CoECI focuses on the study and use of curated, crowd-sourcing communities that utilize prize and challenge-based methods to deliver innovative solutions for NASA and the US government. Author of 'The Design Leadership Handbook' and Fortune 500 product designer! Eli is the Director of Design Education at InVision. 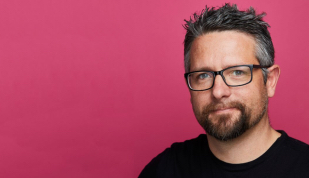 His design career spans both physical and digital products, and he has worked with companies ranging from startups (his own and others) to Fortune 500 companies. 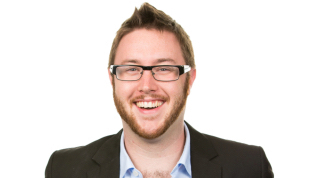 Hi is the author of the Design Thinking Handbook, and co-author of the Design Leadership Handbook, on DesignBetter.Co. He also co-hosts the DesignBetter.Co Podcast with his colleague Aarron Walter. In addition to his background in product and industrial design, he has been a professional photographer and filmmaker. He teaches the senior capstone class Implementation to undergraduate Product Designers at Stanford University. Alana Podreciks is an artist, entrepreneur and expert in corporate innovation. 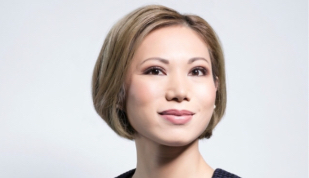 She was a founding member and leader of McKinsey's New Ventures Platform and one of the portfolio companies, OMNI, which is a geospatial machine learning solution for retailers. She is also a long-time abstract artist and runs and event series called Artist After Hours that encourages corporate leaders to use large-scale abstract painting to tap into their creative flow. 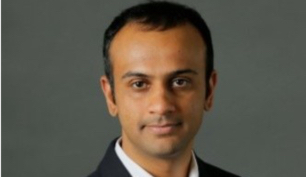 Ex-Yahoo Exec responsible for 100% YoY revenue growth for emerging markets. Marvin Liao is a Partner at 500 Startups, a global seed venture capital firm and startup accelerator based in Silicon Valley. He runs the 500 Startups San Francisco-based accelerator program and invests in digital media, enterprise, software-as-a-service and other types of startups across the globe. Jon is currently product marketing at IBM and Adjunct Faculty of Social Media and Web Analytics at New York University. Previously he was Digital Marketing Director at Kickstarter, Stack Overflow, and MakerBot Industries. 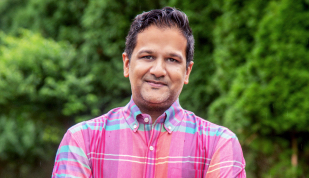 He is an award-winning digital, growth and product marketing expert and educator teaching at General Assembly (where he created go-to-market strategies for 7 new courses), mentoring at Techstars and Chobani, and speaking around the world about marketing. Rebuilt Slack’s Performance Marketing function, increased top line KPI 700% while decreasing cost per acquisition by 30% in less than 2 years. Holly drives top of funnel growth via digital marketing globally at Slack. 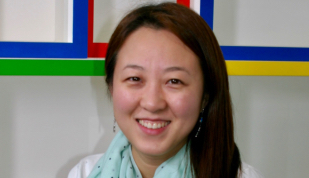 Previously she led Growth at Google Store, taking Google’s ecommence flagship for hardware devices from stealth mode to global launch in 24 countries, and built its demand generation function from the ground up. She also advised on go-to-market and innovation strategies for Fortune 500 companies at Deloitte Consulting and A.T. Kearney. Grew Atlassian's design team from 6 to 150+ in 3 years! 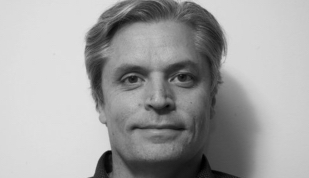 Jürgen Spangl has over 20 years experience in growing passionate design teams focused on perfecting user experience. 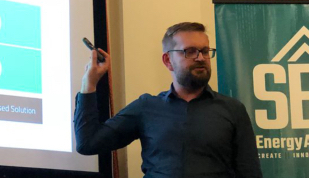 While he's the Head of Design for Atlassian, Jürgen also lectures at the University of Sydney teaching interaction design. 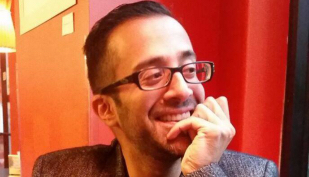 Rahul Sood is the CEO and Co-Founder of Unikrn, a global esports, gaming and entertainment platform built on blockchain. At the intersection of e-sports & blockchain and wagering in a regulated business, they are light-years ahead of the competition. Prior to Unikrn, Sood launched Microsoft Ventures and was involved in a number of other startups, including Vrvana (which recently sold to Apple Computers). A serial entrepreneur, Sood spent 18 years in multiple startups prior to joining Microsoft, including his start as founder of luxury and gaming computer manufacturer VoodooPC, which was acquired by Hewlett-Packard in the fall of 2006. 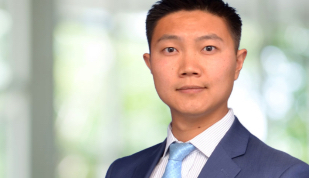 Chairman Sean Koh is an expert in cross-border transactions in finance, technology, infrastructure, media, and entertainment. Structuring various private equity and project financing deals with leading global institutions under his family office, Koherent Incorporated, Chairman Koh has worked on sourcing investments amounting to billions of US dollars. Chairman Koh has also co-chaired a number of iconic investment forums with other family offices and financial institutions at the United Nations, World Energy Forum, and other international communities, often invited by heads of states and trade ministries to guide them in significant global investment mandates. 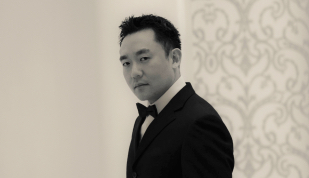 Chairman Koh manages and produces some of the top global artists and his companies worked with top artists such as Beyonce, Britney Spears, Rihanna, Taylor Swift, Jessica Jung, among others. The first non-bank to gain access to the Central Bank of England, and doing the same in Australia next! Leading the development of a multi-currency debit card linked to a wallet. 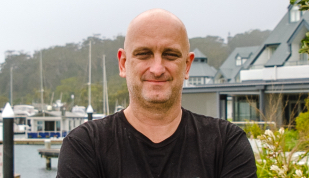 Fred Schebesta is Co-Founder of comparison website finder.com.au, which is the most visited in Australia, operating in 10 countries globally. 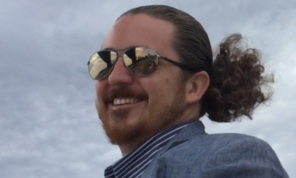 Fred more recently co-founded cryptocurrency financial services company HiveEx.com, which helps people buy and sell large amounts of crypto. Fred will discuss the 10 things he learnt the second time around. 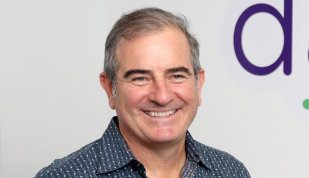 Bruce Buchanan is the co-founder, CEO and Chairperson of Rokt. Rokt is a marketing technology company that was founded in 2012 with a vision of making e-commerce faster and smarter by focusing on both value and conversion optimized for each individual. Rokt’s e-commerce partners experience up to 2x profitability while building customer loyalty and engagement. Prior to Rokt, Bruce was Group CEO of low fares airline Jetstar where he put together the original business case and then spent 10 years building what became the most successful low fares airline in Asia Pacific - growing the team to 7000 and revenue to more than $3B. The seed idea for Rokt grew from Bruce’s time at Jetstar. He identified that taking a consumer on a purchase journey with a personally relevant checkout experience presented a significant opportunity being underserved by the technology community, and so he set about building the solution. A passionate leader in the tech sector with 15+ years of international experience across product management, strategic partnerships, product marketing, business development and Innovation- in corporate and startups. Driving business value and accelerating growth by embracing entrepreneurial and customer centric methodologies and effectively collaborating with external ecosystems and startups. 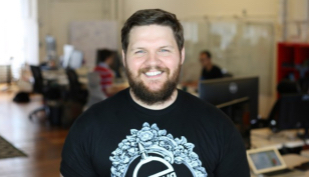 Luke is the founder and CEO of Australian tech company SafetyCulture. 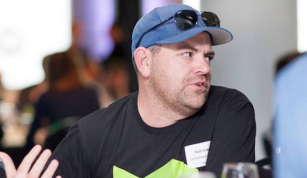 Luke first came up with the idea for iAuditor, the company’s mobile-first safety and quality inspection checklist app in his garage in Townsville, Queensland, in 2012. Since then it’s grown to be used in 80 countries, by more than 18,000 companies, completing more than 35 million inspections every year. SafetyCulture employs nearly 300 people in five offices around the world and has raised $98 million to date. As the company begins its scale-up journey, It’s working on integrating a new real-time incident reporting experience into its app, building cutting edge IoT capabilities and expanding into micro-learning, including a recent investment in Ed App. One of the world’s most cited experts on the Future of Customer Experience, Artificial Intelligence and Bot Strategy. Dr Catriona Wallace is an entrepreneur in the Artificial Intelligence field. 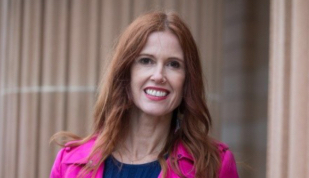 Catriona is the CEO & Founder of high-profile Artificial Intelligence FinTech and ASX Listed company (ASX: FGO) Flamingo AI. Flamingo AI provides unique machine learning based Cognitive Virtual Assistants, ROSIE and MAGGIE, that large Financial Services companies deploy to improve online sales conversion rates and improve customer service efficiency. Flamingo AI also provides LIBBY (short for self organizing library) which analyzes large volumes of unstructured conversational based text as well as the 'Brain', the machine learning engine that other tech companies can use to power their customer interactions. Clients include Fortune 100 and ASX 100 financial services companies. Selling books online to over 4 million Australians. 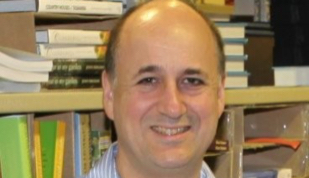 Steve Traurig is co-founder of Booktopia, Australia's leading and largest independent, online-only bookstore. Booktopia, which started on a $10 note, now has over 6 million titles available online which it sources from all over the world and delivers locally from its' extensive Distribution Centre, and has serviced over 4 million Australian customers, businesses, schools, libraries, universities and government departments. The multi-award winning company recently won the Online Retailer Industry Awards (ORIAs) Best Pureplay Online Retailer Award, 2018 and the Telstra Business Awards National People's Choice Award, 2018. Steve was the Director of Technology from inception and now guides Booktopia as hands-on Chief Commercial Officer, Director and Board Member. Competed on Jeopardy! against legendary champions Brad Rutter and Ken Jennings, winning the first place prize of $1 million. 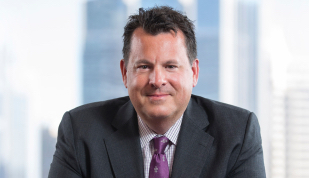 Kyle Ellicott is a Partner at Explorer Equity Group. Kyle is responsible for managing the EEG Asia Fund and assists portfolio companies in need of operational and corporate development expertise. 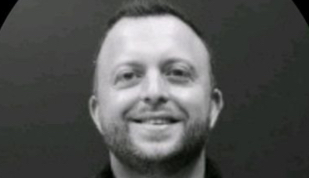 Kyle is the Co-Founder of ReadWrite and Chief Labs Officer of ReadWrite Labs, an industry catalyst that is accelerating the growth of the Economy of Things by connecting the people, companies, and financing shaping our connected world and lives. 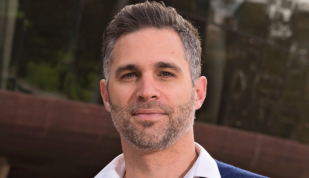 Kyle is a noted global speaker, consultant, published author and technologist with over 15 years experience at the cornerstone of digital transformation between industry and technology. He’s advised over 175 companies globally and successfully raised over $130 million in venture funding. 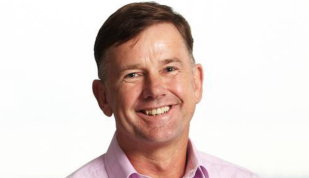 David Kenney is widely recognised as the leading advisor to businesses/start-ups/scale-ups in Australia. As a senior partner of Hall Chadwick and expert, he advises many of Australia’s best businesses both private and public companies, Family Offices, CEOs, and high-net-worth individuals. Equally important to David is working with and supporting founders. He loves helping people and this passion translates to an overwhelming number of successful businesses as his clients. His clients read like the Who’s Who of the best Australian businesses, founders and people in an array of industries. Jack’s background is scaling businesses using paid media channels like Facebook, Adwords etc. He's worked with small startups to large companies managing spends from $100/day to as large as $100k/day with lifetime totals reaching over $100 million. After years in paid acquisition, he identified an under utilized strategy for scaling using incentivization and gamification with contests and giveaways. That's when the viral tool VYPER was founded. 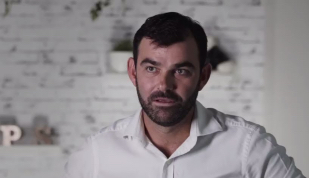 James Begley is an entrepreneur and former professional athlete who is the founder and CEO of PickStar, Australia's largest marketplace to book sports stars for events, marketing campaigns and fan experiences. James joined forces with AFL champion Matthew Pavlich, building an online platform that provides fast, affordable and direct connections to over 900 sports stars and personalities. So far, the Adelaide based startup has facilitated over 1000 deals, working with some of Australia's biggest brands including Caltex, Sportsbet, Optus, Coles and Sanitarium along with numerous charities, schools, clubs and fans. David started at ING in 2008 with responsibility for Public Relations. Since then he has taken the lead on internal communications, sustainability, reputation and media relations. 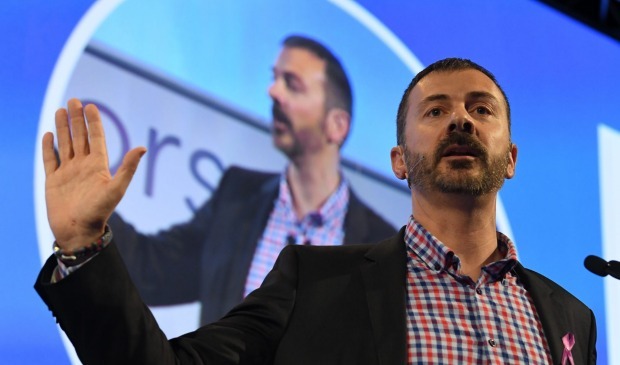 Working to create and foster ING’s position as a challenger brand, David has helped ING maintain its position as Australia’s number 1 recommended bank. David came to ING after an extensive career in media having held editorial roles at Network Ten, News Ltd and Win Television. Delivered over $5 million to social impact projects in 30 countries. 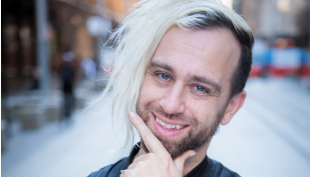 Tom Dawkins is an entrepreneur, speaker and Co-Founder and CEO of StartSomeGood.com, a crowdfunding platform for social enterprises, non-profits and community initiatives globally. He was previously the founder of Australian youth non-profit Vibewire, the first Social Media Director at Ashoka, a global NGO fostering social entrepreneurship based in Washington DC, and the founding Director of the Australian Changemakers Festival. He has supported numerous non-profits, governments and businesses to better engage their community using technology and been recognised with awards and Fellowships from the World Summit Youth Awards, International Youth Foundation, Nexus Summit, The Future Summit and the Australian and New Zealand Internet Awards. Leading Australia's onshore and offshore trade and investments! Tim Beresford is Deputy CEO of Global Markets and Sector Engagement at the Australian Trade and Investment Commission (Austrade). Tim has strategic leadership for the promotion of trade and investment opportunities for Australia and operational responsibility for Austrade’s onshore trade and investment teams and offshore network. 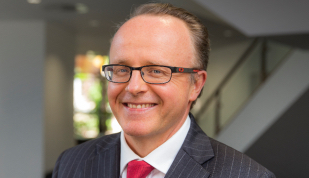 Tim was previously Chief Operating Officer and Deputy Vice-Chancellor at Macquarie University with responsibility and oversight of operations and international student recruitment and engagement. Before that, he was Austrade’s Executive Director, Tourism, Investment, Education and Programmes. 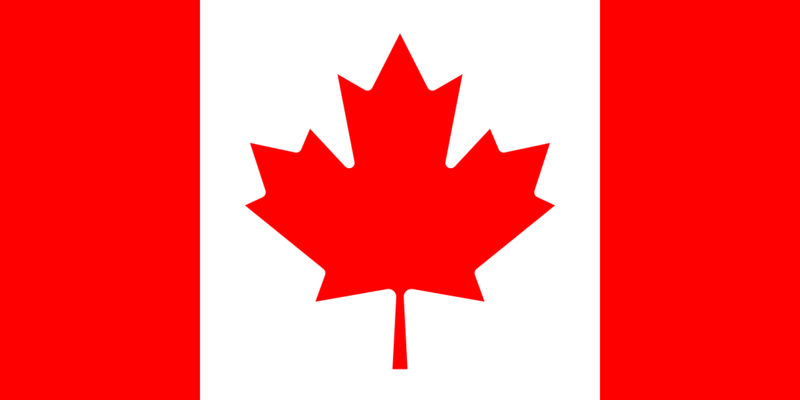 Startup veteran specializing in consumer, mobile, and marketplace platforms. 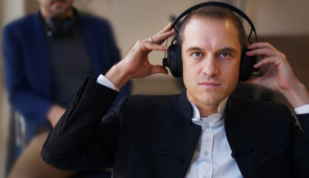 Victor Kovalev works with startups & accelerators as an advisor. Having gone through 3 IPOs, he has been leading technology teams in the industry including as CTO of Redbubble, VP of Engineering at Indiegogo, and leadership roles at Yelp & VMware. His passion & expertise are in building driven cultures to foster radical innovation through rapid scaling. He has a Master of Science degree in Robotics & Artificial Intelligence from Georgia Institute of Technology – and is a founding member of the Melbourne electronic rock band Robot Overlords in his spare time. Chris has been involved in many aspects of the communications industry, spanning embedded systems, video conferencing and large-scale contact center solutions. 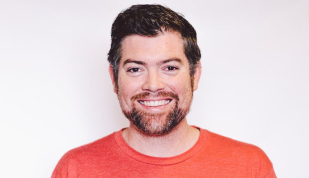 Now as a Twilio Solutions Architect, Chris draws on his domain expertise to help customers leverage cloud and power their communications through APIs. Dragan followed up his PhD in Electrical Engineering from UC Berkeley with a 10-year industry career in Product Management and Business Development where he was responsible for shipping millions of product units into the market. 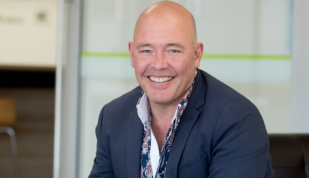 Selling his first software platform straight out of university, a computer model to forecast the economic impact of management decisions on New Zealand forests, Colin built his first fintech, a cyber security firm for trade finance in the late 90's with a group of friends in London and exiting to Netscape. Since then Colin has digitised banks across the world at startups and as an exec at global tech firms such as Microsoft and Sun Microsystem. At Moroku Colin is creating a brand-new digital banking category with its Customer Success Applications, the first of which is their Gen Z banking platform “Chore Scout”. Cycling across Australia in 2010 with friends to raise money for charity highlights much of who Colin is; loving adventure, the outdoors, challenging himself , others and growing. 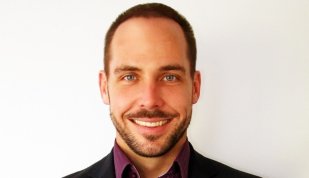 Beau Bertoli is Co-Founder and joint-CEO of Prospa. Beau has 14 years in financial services and has founded a technology start-up and managed a consumer product retailer. He is passionate about building and growing high performing teams and changing the way people experience finance. 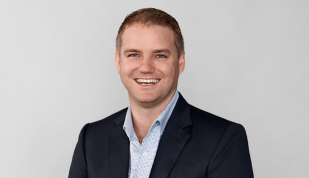 In 2017 Beau was jointly awarded Fintech Leader of the Year by Fintech Australia and the NSW Pearcey Tech Entrepreneur of the Year Special Recognition award. Prior to co-founding Prospa, he held senior positions including National Sales Manager at listed financial services company FlexiGroup. Beau has a BCom in Economics and Finance from Sydney University. Empowering entrepreneurial capacity in women. Lauren is a community strategist and disruptive innovation specialist passionate about the development and application of new business models, corporate social innovation, impact investment and fostering entrepreneurial capacity, particularly in women. 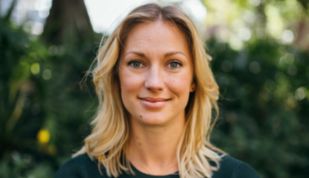 Lauren is currently Head of Venture Community at Reinventure Fund, an Australian venture capital firm focused on investing in disruptive financial services startups, with Westpac as its largest investor. Creating the Fitbit for finance! Strong track record of building value by growing companies through strategy, business development and M&A. Inspiring and passionate leader with proven ability to motivate international teams. Experience includes running companies in financial services, electronic payments, software and technology, telecoms and the media sector, in Europe, North America, Middle East, Asia and Australia. 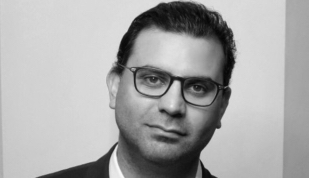 Hichame Assi is CEO of HotelsCombined, the world’s leading hotel comparison platform. 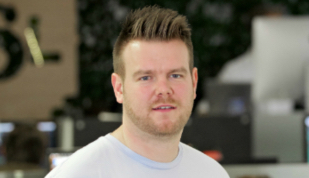 He joined the HotelsCombined team in 2010, bringing over 15 years of experience in ecommerce and online travel across Europe, the Middle East and APAC to the Sydney-based start-up. Now a multinational with a lean team of over 150 high-performers, Hichame has led HotelsCombined through its journey from start-up to scale-up and to a recent acquisition by the most prominent online travel group in the world. Hichame has an MSc in Ecommerce from the University of London, and in his spare time (?) can invariably be found reading about the fields of Open & Social Innovation, mentoring entrepreneurs in MENA and negotiating with his 8 year old son. Cognitum Superhuman Decision is an A.I. SaaS product for enterprises, that improves profitability while reducing risk. It uses unique technology to encode human expertise, intuitions and emotions and combines them with superhuman A.I. accuracy to help organisations make superhuman decisions. The product is sector agnostic. It has been proven in the Customer Electronics, FMCG, Energy, and Telecommunications sector. Angie has spent over 10 years working in Silicon Valley fostering the entrepreneurial spirit and advocating for developers. She has held various leadership positions in software development, services, sales & marketing, and is currently the Senior Program Manager, Developer & Startup Advocacy. She has worked with multiple startups facilitating their success by utilizing IBM technologies and programs. 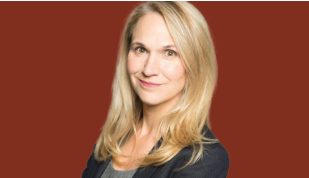 Angie serves on the academic advisory board for San Francisco Bay Area universities, and as a mentor and advisor for several Silicon Valley startup accelerators. 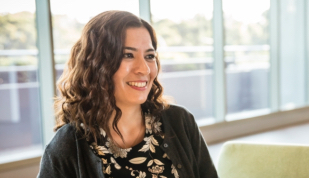 Angie is an active member of the Silicon Valley Startup, Investment and Academic communities, helping developers and startups connect to global resources. 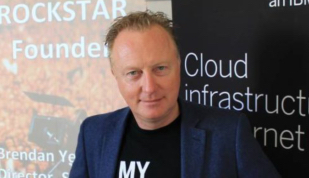 John is Solution Architect and ANZ Cloud Intelligence Lead at Cloud Sherpas Asia Pacific. John has over a decade of experience in business analytics, advising both business and government in the use of data-driven strategy across diverse sectors. While experienced in predictive modelling and forecasting, John’s real passion is “data democracy” — the power of individuals to change business and society for the better by making data a part of their everyday lives. Mitchell heads up the technology team at the Big Red Group (BRG), tasked with delivering aggressive digital transformation projects to build a globally scalable technology platform for multiple experience marketplaces. 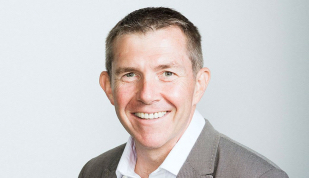 In his first six months in the role, Mitchell has led the team in delivering a million-dollar transition from a largely custom-build stack onto Salesforce Commerce Cloud, which is the first part of a wider roadmap of enabling the BRG to leverage a centralised supply warehouse model and build and develop improved audience engagement. Accelerating R&D investment by government and private sectors into science and technology to counter the limitations of the human biological condition, including enhancement of our intelligence, healthy lifespan, and wellbeing. 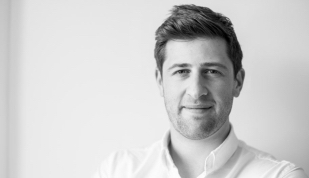 Robbie is a Senior Product Manager at Intercom focusing on growth. Prior to this he lead the mobile product team at SurveyMonkey, sold virtual unicorns on Farmville at Facebook gaming company Zynga, and was a consultant at McKinsey & Company. His writing about digital products has been featured in Forbes, Fortune, AdWeek, USA Today, and the front page of Reddit. Robbie is a proud kiwi, but currently resides in San Francisco. Navin is focused on the South-East Asia market entry of MOX, beginning with the two key primary markets of Singapore and Malaysia. He builds partnerships and alliances in the region including governments, telecommunications, universities and corporations. He help companies understand the ASEAN landscape and link investors to build better networks. 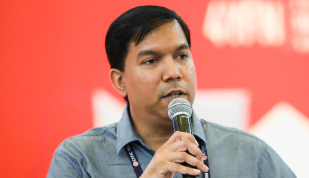 Prior to SOSV, Navin was senior manager of Microsoft ecosystems in the ASEAN region. 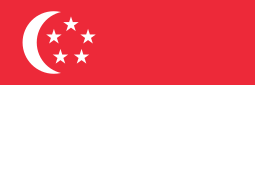 Prior to that, he was Editor of Singapore Press Holdings tech media, and held a senior role in IDG. Navin has also founded a startup during the 1997 Asian economic crisis, organised a VR hackathon in Beijing with the Chinese government and Coke, and advised a number of Asian aerospace hackathons. Ciaran has over 20 years IT experience with 12 years in Senior IT and Architecture roles with a strong focus on pragmatic outcomes. 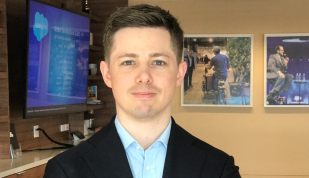 Ciaran is currently employed at Lend Lease Corporation as the Head of Technology Research for the Lendlease Group Companies. This also involves activities in Lendlease's Innovation function as a technical advisor and innovation guide. 20+ years experience in financial services and telecommunications, driving technology led innovation, strategy and new customer experiences and business models in response to emerging technology and consumer trends. 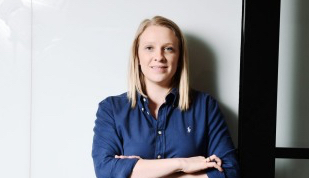 Katie has worked in startups, corporate and consulting environments, in the US, UK and Australia. As businesses continue to respond to the age of digital disruption, the ability to spearhead process and product innovation has become key to success. 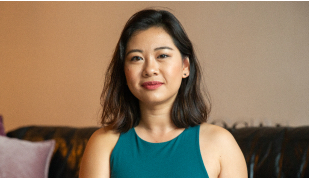 Leveraging a varied background in economics, research and investment management, Laura combines broad commercial acumen, an understanding of the financial services value chain, and the ability to think critically and conceptually with skills in data science. Laura transforms process, driving automation and efficiencies and identifying opportunities to improve client experience and deliver growth. Earned Series D Funding of 33M. Startup mentor for muru-D and Slingshot Accelerator with over 2 decades experience in online industries. Over 74,000 customers rely on SendGrid to send more than 45 billion emails per month. 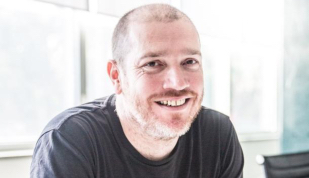 As the APAC Director, Brendan works with customers like Airbnb, Pandora, Spotify, Uber, Hubspot and Costco. Interested in cloud technologies and the progression from local infrastructure to all cloud options. With experience in Salesforce, AWS , Google Apps and Office 365. Andrew working in Product looking after the GTM for nalytics product at Salesforce. 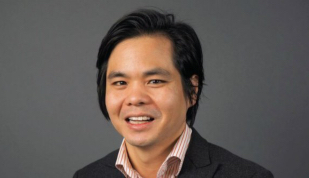 Benjamin Chong is a seasoned investor, founder and active startup community member, who has built successful businesses such as Online Agile and Jetabroad. Benjamin started out consulting high-ticket companies like PricewaterhouseCoopers, Volvo, Sony, and Toyota. 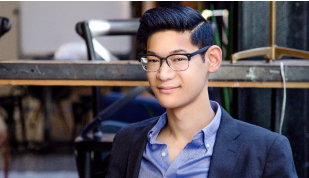 Benjamin has been a partner for Right Click Capital putting his focus on tech startups. Having run a workforce with an extremely high performance output and culture, Danny explores the factors that drive talent attraction, recruitment, management, retention, incentivisation in the context of a high growth global start up. Currently an advisor to a number of businesses globally with a focus on Growth and B2B engagement. 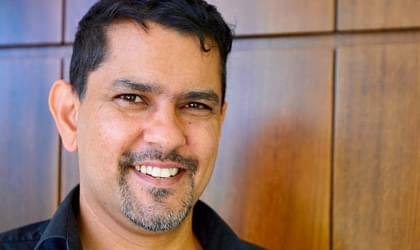 Previously Head of APAC at Braintree & Head of PayPal New Ventures. Emily founded Jemsoft, ?a machine learning and computer vision company that adapts new innovative frameworks into many different industries ranging from startups to Fortune 500 companies globally. Jemsoft was acquired in 2017 by a publicly listed IoT company, and Emily began investing in opportunities in early stage tech. 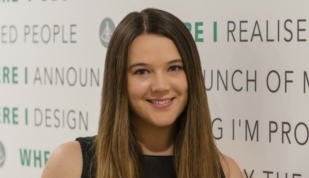 Emily is an awarded innovator, having won the 2015 Startup Adelaide Startup of the Year Award, Newscorp Women in Innovation Award (Technology) and winner of Young IT Professional of the Year 2016. Here we will share key metrics for Australia's leading technology companies by funding stage and provide a rubric for what it takes to get backed by Australian and global venture capital firms. Currently helping IBM partners and customers with cloud solutions providing workshops, roadmaps and architect services to small, medium and large businesses. Assisting with platform and software selection. Local representative of IBM's startup program, designed to help Startups build on IBM cloud technology. 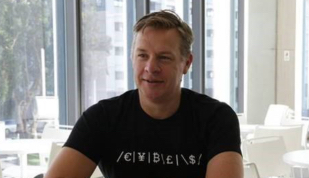 Stuart Ward is the Director for financial services, APAC at Salesforce. Stuart works across banking, wealth, insurance and capital markets, bringing focus on Customer engagement, integrated intelligence / AI, compliance & risk management. Stuart works closely with Fintech and implementation partners to plan and execute on shared go to market strategies across APAC. Stuart draws more than 15 years experience in Banking technology, consulting and marketing, supplemented by a masters degree in applied finance and a bachelors degree in information science. 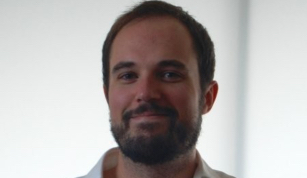 Benjamin Smith is the Vice President of Field Engineering for Twilio. 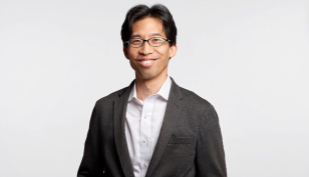 He leads the global team of customer-facing engineers, solution architects, and technical program managers helping Twilio customers build the future of communications. 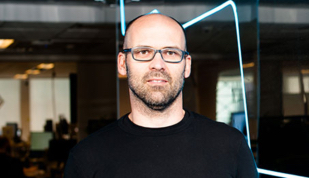 Before joining Twilio, Ben spent eight years at Google Cloud. Mostly recently, he led global engineering support for Google Cloud Platform, Google Maps Platform and Firebase customers: 24x7 on-call engineering, support programs, outsourcing, data science, billing, analytics and operations covering 150+ developer products. 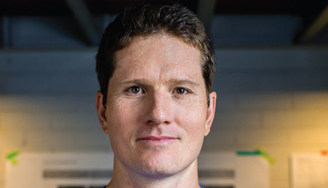 Prior to Google, Ben spent eight years at Salesforce.com in various customer, partner, and platform leadership roles in Asia Pacific and at their San Francisco headquarters. Even earlier he worked at Motorola Mobility and at MS2, an enterprise software startup. 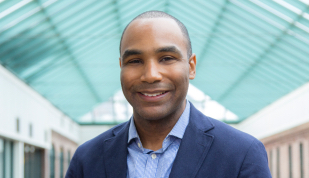 Andrew serves as HubSpot's VP of Corporate Development and Business Development, where he is responsible for the company's acquisitions activity, investments and strategic partnerships. Prior to joining HubSpot, Andrew held strategy positions at Jawbone, most recently as the VP of Corporate Development, where he led the company’s fundraising, acquisitions, and partnerships. He was previously a consultant with McKinsey & Company and an investment banker with Merrill Lynch. 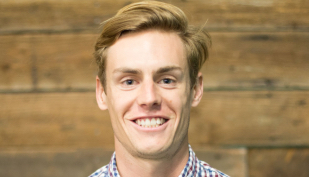 Andrew is based in San Francisco, CA and chairs the city's TechSF workforce investment group. He graduated from Harvard Law School and Harvard Business School with a JD and an MBA and completed an undergraduate BS degree at Howard University. Computers don't have feelings, but you can train them to understand the sentiment and what you might be feeling by reading text or seeing what you see. Every time a new technology becomes accessible to a wider audience new scenarios and possibilities emerge. In this session, you will see how you can easily utilise Microsoft cognitive services. After this session, you will learn how to leverage AI and you take your application to the next level without being a data scientist or machine learning expert. It will help you to get a fresh perspective which might help to spark new ideas. This session will be a combination of demo and live coding. 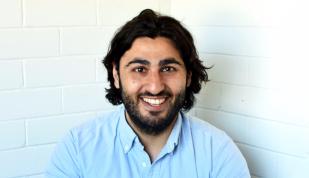 Alex holds a PhD in Mathematics from the University of Sydney and enjoys using his technical skills to solve real-world problems that are important in people's lives. Prior to co-founding Spriggy, he has worked in finance, in academia and as a data scientist. Outside of Spriggy he enjoys skiing, eating spicy food, watching stand-up comedy and singing karaoke poorly. I'm a husband, father and technologist. Since '96 I have: - been a software developer, mostly on the web. - ran a hosting company. - co-founded and exited (with varying degrees of success) 5 tech startups. (River Dynamics, YourWeb, ProcessGo, Wattcost, DoneSafe). - become a partner at Lookahead Search, opened and ran the Melbourne office. - directed Founder Institute for two semesters in Melbourne. - was the President then Treasurer of Ruby Australia. - made 11 angel investments (Pin Payments, Practice Ignition, Buildkite, Gyde, Hava, Teamsquare, Mentor Loop, Spaceship financial, CodeLingo, Making Things, Taggd). 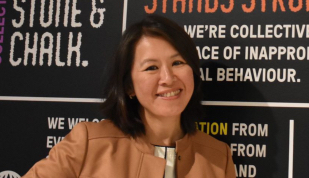 - helped Blackbird Ventures with deal flow - Invested in and mentored with StartMate since 2017 Sydney batch, Partner since MEL17 - joined the Amazon AWS Startup team in Melbourne, VC BD. In a previous life I was the GM Program Management for a Global Gaming company, an around the world traveller, book writer and technology risk management consultant. Software is everywhere – on our computers, our watches, our refrigerators. And the teams building software together – developers, product managers, doc writers, bug-bashers – are our heroes. Our products help teams of all sizes track and share everything, work smarter, and create better software together. Atlassian is a family of passionate and innovative folks, who's desire it is to make the world a better place, through the medium of...software, collaboration and raw simplicity. Richard Kimber has over 25 years of global leadership experience that includes several chief executive and board roles, and has extensive experience in financial services, marketing, social media, and capital markets. Mr. Kimber is currently CEO and Founder of Daisee, an Australian AI software product company focused on vision and voice. Prior to this role he was CEO of OFX Group, one of the world’s leading international payment and foreign exchange companies listed on the ASX. 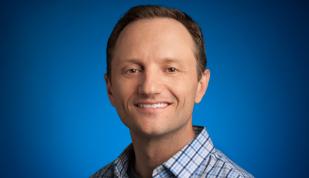 Earlier, Mr. Kimber was the first Regional Managing Director of Google in Southeast Asia (including Australia and NZ); while at Google, Mr. Kimber led all of Google’s commercial and country operations in the region and more than doubled its multi-billion dollar revenue and managed the local integration of the YouTube and DoubleClick acquisitions. 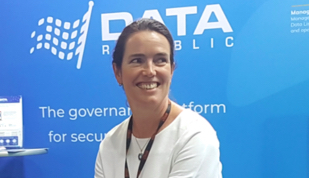 Adrian is the CEO of CSIRO’s Data61, Australia’s largest data innovation network. 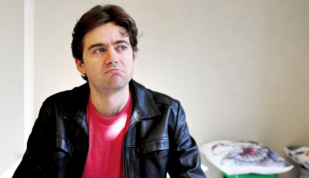 He is a successful and influential Australian technology entrepreneur who has spent 18 years in Silicon Valley. 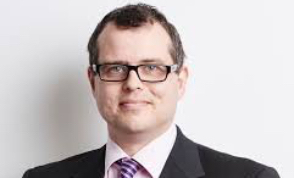 He is also co-chair of the Australia Cyber Security Growth Centre (AustCyber), a member of the Board of Directors for the Australian eHealth Research Centre (AeHRC), a member of the World Economic Forum Global Future Council on Digital Economy and a member of the Genomics Health Futures Mission Steering Committee. Most recently he was Managing Director and Co-Founder of Borondi Group. 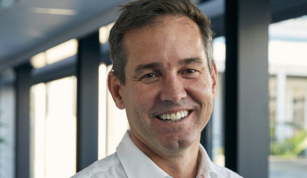 Prior to this, Adrian was co-founder and CEO of smart phone and Internet of Things security company Mocana Corporation, had profit and loss responsibility for Philips Electronics connected devices infrastructure, and was Chairman of the Board for Australia’s expat network, Advance.org. Adrian was also author of the eBook BlueSky Mining, Building Australia’s Next Billion Dollar Industries. Successfully launched 16 products at 7 B2B growth-stage startups that have been been acquired for over $7B collectively. A positioning expert, entrepreneur, board member, angel investor & advisor. My expertise is built on 25 years as an executive in a series of 7 successful technology startups and 3 global tech giants. I’ve launched 14 products successfully and 2 flops. I am an international keynote speaker on the topics of Positioning, Market Strategy and New Product Introduction. I help marketers, entrepreneurs and sales teams do a better job of positioning innovative new products so that customers find them obviously awesome. I think the best way for people to learn is from examples, stories and humour so my talks are a mix of those three. As a consultant I work mainly with B2B tech companies both large and small on making their products easier to understand and love. I teach a practical methodology that makes your product value shine. In as little as 2 days, I can equip your team with a deep understanding of Positioning and a Playbook to make even the most complex product, obviously awesome.